Every year for Christmas I try to come up with gift options for my little ones that aren’t toys. Toys are fun for 3 seconds and then they want to move on. I’d rather purchase something that they love to use or do every day and for us, that is usually reading. The boys love reading every night before bedtime so books have become our most cherished gift. This year I decided I would create a book gift guide for toddlers and kids to share some of our favorites that aren’t’ necessarily “top dogs” in the retail stores…yet. I hope your littles enjoy! These interactive books make great gifts for boys or girls baby shower or toddler birthdays or Christmas. Perfect for infants to toddlers. Read, listen, and hum along as Ditty Bird sings your favorite Christmas Songs. The electronic push button on every spread triggers one of the five best-selling Christmas Songs sung by children. The beautiful and colorful images will hold your baby’s attention even longer. Includes: Rudolph the Red-Nosed Reindeer, Frosty the Snowman, Jingle Bells, We wish you a Merry Christmas & Deck the Halls. Using groundbreaking research, The Terrific Toddler Series is age-appropriate stories that take into account the language level and comprehension level of a toddler. 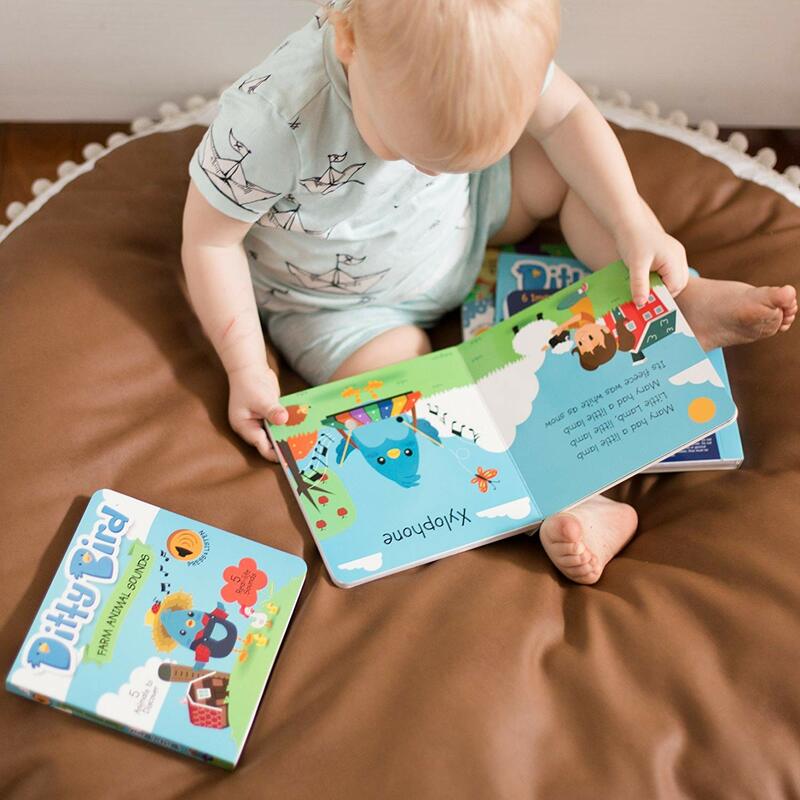 All books in the series include a concise “Note to Parents and Caregivers” in the back that provides parents with guidelines for both navigating these challenges and helping their toddlers understand their world. The three books are ALL MINE, BYE-BYE, and BOO-BOO. 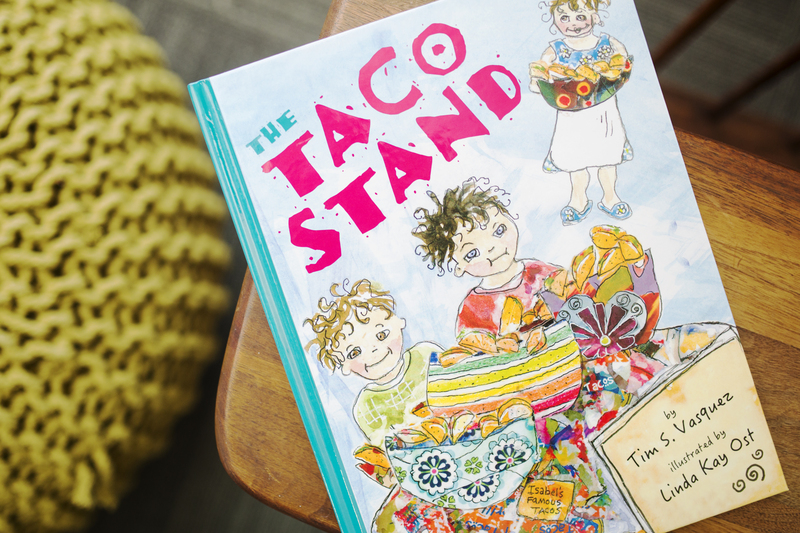 A story of hard work and the love of family, with Tim Vasquez’ colorful tale, “The Taco Stand,” gives young readers a closer look at what matters most. Each story explores what happens when Isabel, known throughout Phoenix for her sensational, crave-able tacos, gets an offer to take those tacos mainstream and open a franchise – but the offer comes at the expense of time with family. As Isabel mulls her options and debates exactly just how much family time is truly worth, young readers will develop a better understanding of the fact that there are some things in life you simply can’t put a price on. There’s nothing like the gift of a good night’s rest, especially when it comes to kids. Dreamt up by a 7-year-old, The Dream Pillow is the latest product for children 3+ that creates good dreams each night and stems a way to empower imagination in their daily life making it the perfect gift for the holiday season. Funny, innovative, and imaginative, Sean Awesome: A Mission at Night is sure to become a perennial favorite series that readers of beloved characters like Olivia and Pete the Cat will flock to. Sean Awesome is an imaginative boy who is scared to sleep in his own room all by himself, even though his Mommy tells him he should try. One night, Sean comes up with a plan to sleep in mommy’s room instead of his own—and his mission at night begins! Sean embarks on a courageous adventure to overcome his mother’s wishes and sleep in her room. His mission is ultimately accomplished, when he finds the courage to sleep in his own room through his mission.